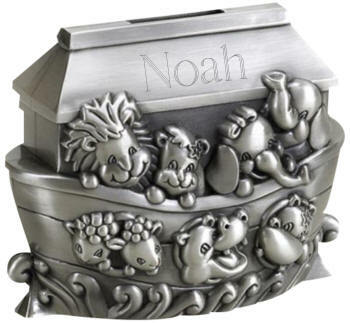 This pewter finished Noah's Ark bank features 9 sets of animals, 5 pairs on one side of the ark and 4 pairs on the other side, as they happily sail. You are sure to love the animal details! At the bottom of the ark, you can see waves splashing against the hull. The coin slot is on the very top of the Ark's roof. This version of the ark has a 3.5 in. x .5 in. smooth area on the roof on each side that is perfect for engraving. Can be personalized with a name on one side and a date on the other. Overall dimensions are 3.75" H x 2" W x 4.75" L.
Fill in only the Personalizaton you would like and leave the rest blank. 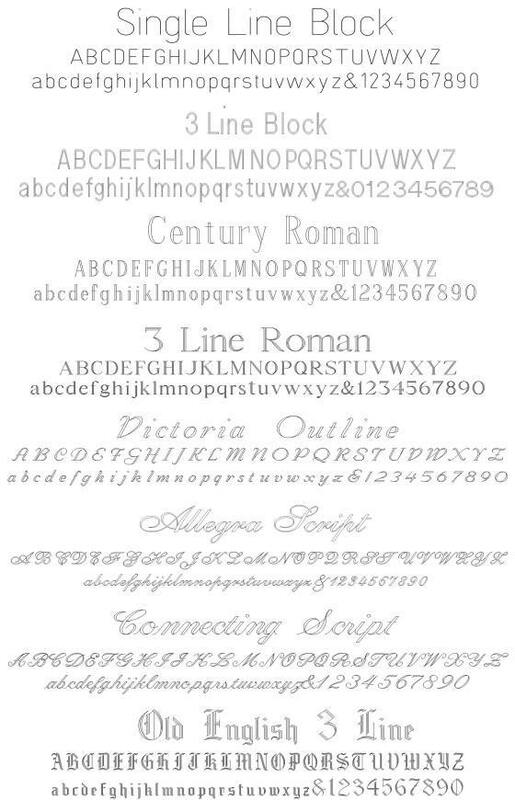 Not all fonts may be available for this item. Copyright © 2017 aSpecialGift.com. All rights reserved.